Queen ‘Masenate Mohato Seeiso reflects on her marriage, being 38, society at large and her transition to the Royal Queen she is today. 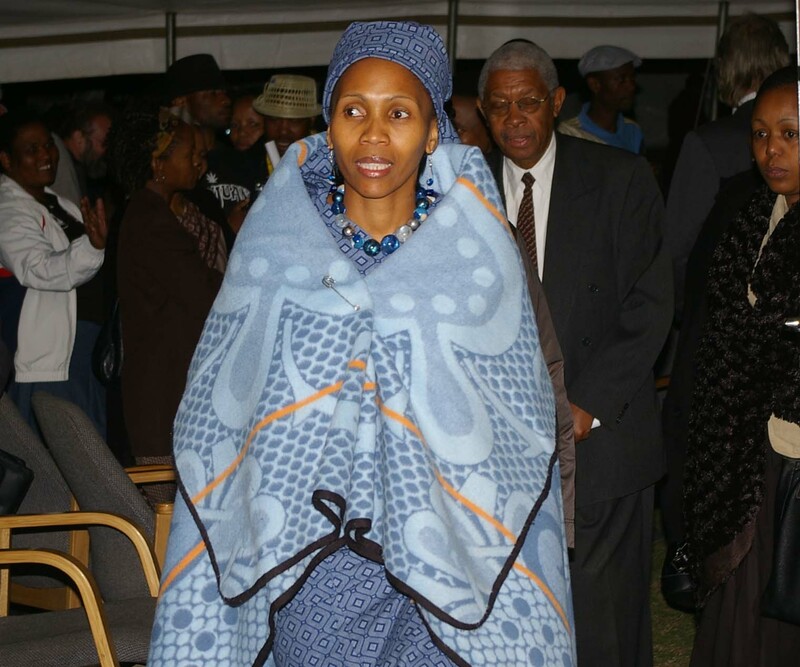 QUEEN ‘Masenate Mohato Seeiso, who turned 38 on 2 June, says her 14 years as the wife of King Letsie III has been “an exciting, learning experience”. Since tying the knot on 18 February 2000, the Royal couple has been blessed with two daughters — Princess Senate (12) and Princess ‘Maseeiso (9) — and one son, Prince Lerotholi (7). Her Majesty, born Anna Karabo Motšoeneng in Mapoteng, Berea district, says she had much to learn during the early days of her marriage due to her background as she was not from the Royal family. In an exclusive interview with the Lesotho Times at the Royal Palace on Monday this week, Her Majesty said she was grateful for all the support she received from her late mother-in-law, Queen ‘Mamohato Bereng Seeiso, her husband and the entire royal family in helping her make the transition from “a commoner” to the Queen she is today. I believe opening up to our children can help build trust and make it easy for them to confide in us. “As you know, I was a commoner who married His Majesty, which was very rare but also says a lot about his humble nature. I am thankful for the support I received from the Royal family. His family accepted and loved me and taught me almost everything that I know today. I am now comfortable and no longer intimidated by my role as Queen. When the Queen Mother passed away (on 6 September 2003), it was hard on me for some time because she had been my pillar of strength. However, I am glad His Majesty was there for me and supported me until I got back on my feet again,” she said. Her Majesty says her marriage is a very happy one, although she would have loved to have more children. “I would have loved to have more children but I think it is risky to conceive at 38,” she laughed. 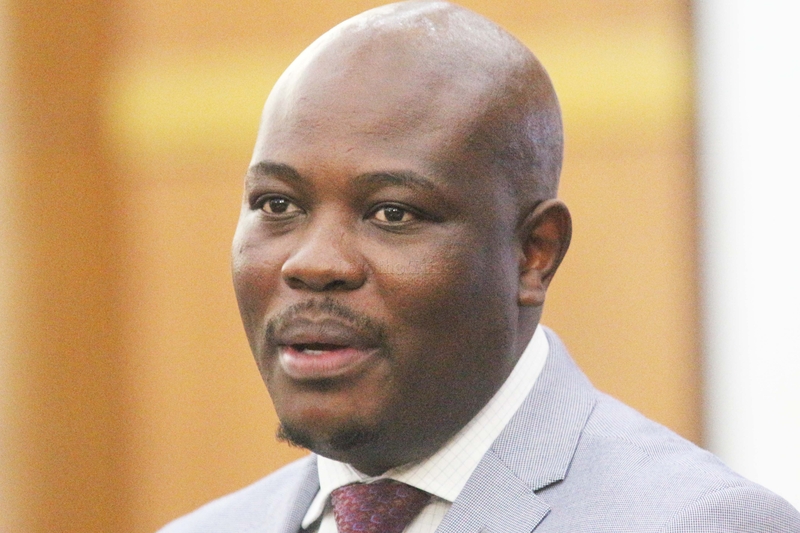 With Senate and ‘Maseeiso away at boarding school, the Royal couple now has more time to themselves and also make sure the Prince, who is heir to the throne, receives proper guidance. Both husband and wife are interested in crop and livestock farming and the family boasts of bumper harvests every year and many highly productive cattle, goats and sheep in the mountains. The couple spends time managing their agricultural operations and Her Majesty said these too, bring both of them much joy. Her Majesty further said over the years, she has shared everything with His Majesty and always had the opportunity to advise him on personal issues. Her Majesty said she decided to continue with the work of the late Queen Mother — the Queen’s National Trust Fund — because of her similar passion for children. 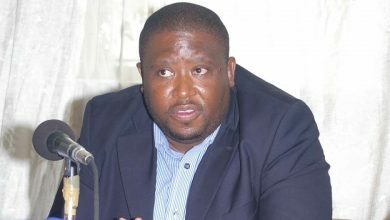 The Trust Fund was established by Queen ‘Mamohato Bereng Seeiso in 1985. She further noted that while education remains important, there should also be efforts to make sure every child knows the importance of loving his or her country. “I would like them to be patriotic. Maybe I feel strongly about it because of my position as the mother of the heir to the throne, who is still very young. I would really like him to grow with a generation that understands the importance of patriotism. I know that way, his job would be easier. 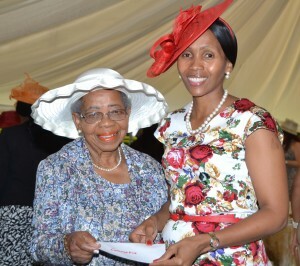 Queen Masenate Mohato Seeiso with a member of the Maseru Women Senior Citizens Association ‘Malebona Lebona. 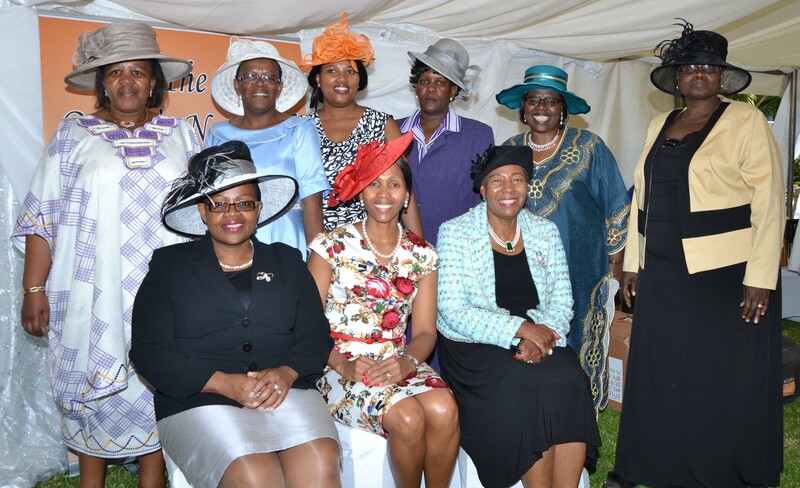 Although the National Trust Fund enjoys good support from various organisations, Queen ‘Masenate Mohato Seeiso said she had realised the need to embark on other projects to boost funds in order to reach out to the growing number of vulnerable and orphaned children. “We have a very small corporate sector and I know they are doing their best to help us. Their support is making a huge difference to the lives of many children from underprivileged families. The Queen also said she understands companies and organisations have other obligations and support other needy people. She said the Trust Fund has not been able to touch the lives of all vulnerable children throughout the country. 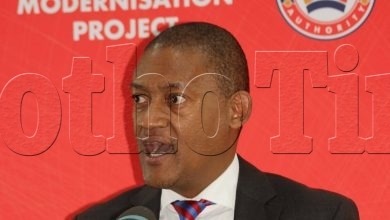 To raise more funds, the Trust Fund has partnered with a South African company in the production and marketing of the Lesotho Royal and Lesotho Prince Roses. The Trust Fund launched the Royal Rose perfume last year and is now available on the local market. Since the project started, Her Majesty said she had learnt a lot about the sector. “We had to start with a small number of perfumes to assess the response of the market. So far, the response has been fairly good. We are learning fast and currently, we are working on addressing the issues around packaging and also improving the fragrance itself. Her Majesty explained that while she is passionate about children, she is also interested in the development and economic emancipation of Basotho women. 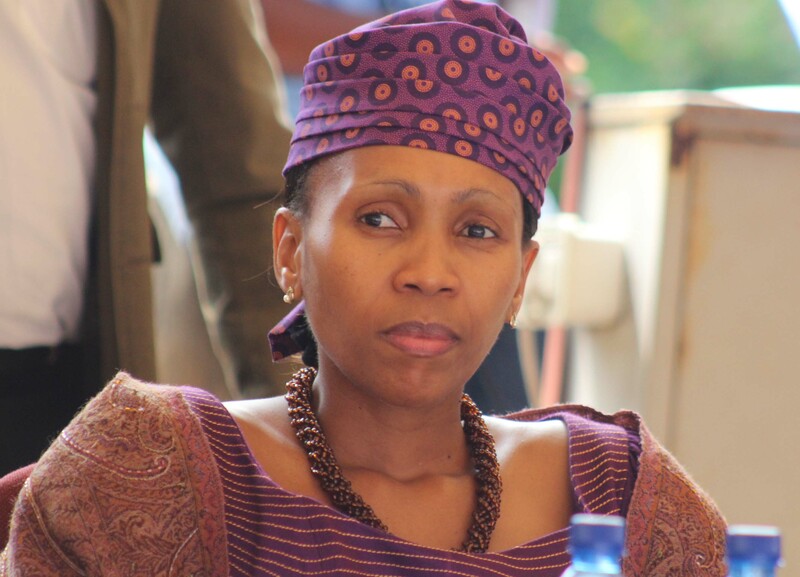 She believes women have what it takes to contribute to the development of the various sectors of the economy. She said this is despite the fact that women constitute more than half the country’s population. The Queen added with abundant opportunities in the value-addition sector, only the sky can limit women to realise more from their agricultural initiatives. She urged women struggling to make it in business to adopt other effective and practical strategies to realise their dreams. She further said fear of the unknown, lack of innovation and ideas, business diversity, limited skills, difficulties to access finance to start and expand businesses were some of the reasons why only a few women are found in well-established businesses. She cited the garment sector, which employs thousands of Basotho women, as offering great opportunities. Despite challenges in the development of women in business, Her Majesty congratulated all the women contributing in the various sectors of the economy for having the courage to stand up and make a difference. “It would be good to see women countrywide, taking up medium-to-large-scale businesses, particularly in the small districts and rural areas. Queen ‘Masenate Mohato Seeiso said because she works with many people, that has compelled her to master the art of time-management. Growing up in a religious family, she said she was raised to value the importance of family unity. The ills in society today and the great love for money, she added, break her heart. 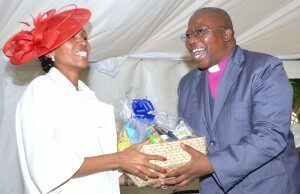 Queen ‘Masenate Seeiso said having normal expectations and compassion for the poor can help rehabilitate the society. She further said other forms of wealth are having wisdom, sharing with others to help create a vibrant and self-reliant nation and maintaining good health. “I think as parents, families and communities, we have neglected our responsibilities of nurturing our society and as a result, as a people we have largely transformed into something else beyond my understanding,” Queen ‘Masenate Seeiso said. 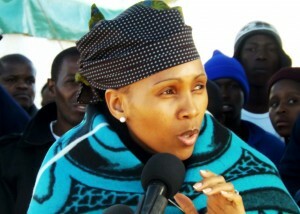 She emphasised the importance of returning to the traditional values that made Basotho a distinct people. “Despite challenges, I have also noticed that some women are not in business because they underestimate their capacity. However, she said to achieve this, collective efforts are needed. On the issue of teenage girls who get married or fall pregnant while still at school, Her Majesty said efforts should be made to revive the Thakaneng traditional custom. 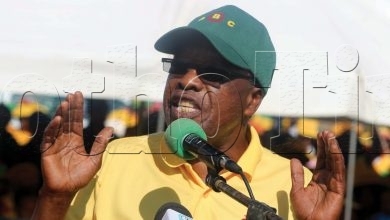 future of Basotho children depends on such efforts. “This could be another way to educate our children because many parents and families no longer have time for children. In some cases, parents might not know how to communicate with their children because of fear that educating them about reproductive health, for instance, might just make them curious and want to experiment. Queen ‘Masenate Seeiso said although Lesotho is a Christian country, it comprises different people who look at things differently and also behave differently based on their socialisation. “I think diversity also comes with challenges because we cannot all have uniformed behaviour and views. However, as a largely Christian nation, the bottom line is whatever we do, we have to ask ourselves whether our behaviour is in the right standing with God. Only a foolish person can be easily influenced by a bad group of people simply because he or she wants to fit in.